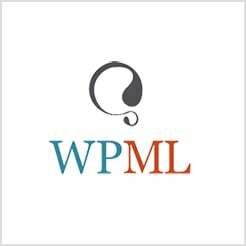 WPML (The WordPress Multilingual Plugin) is one of the most popular translation plugins on the market. With WPML you can translate pages, posts, custom types, taxonomy, menus and even the theme’s texts. We work directly with the WPML team to guarantee 100% compatibility between Avada and the WPML plugin. A recent version of WPML (version 3.7 or above), including the String Translation, Translation Management and Media translation add-ons. WPML also offer an Advanced Translation Editor. The editor comes with key features like machine translation, a glossary, translation memory, spell checker, HTML-less editing, and more. To use it, it needs to be first activated on the WPML -> Settings page. HTML Markers - The Advanced Translation Editor allows visual translation without having to edit HTML. Machine Translation - The Advanced Translation Editor allows you to auto-translate the whole page at once, or a specific sentence you are currently editing. It supports most of the world languages. Translation Memory - The Advanced Translation Editor breaks the content into sentences, allowing the editor to keep track of all the translated text. If there are repetitions, the editor will find and auto-complete the same phrases for you. Glossary - The Advanced Translation Editor contains a Glossary, that allows you to inform translators of important keywords and phrases for which you want to suggest translations. Spell checker - The built-in spell checker helps you avoid spelling errors and typos. Please see the video below from WPML for more information, outlining the features offered by the Advanced Translation Editor. Below you will find documentation the WPML team has created, for using the WPML plugin specifically with Avada. If you've purchased WPML and have any questions or issues, please check the links below.